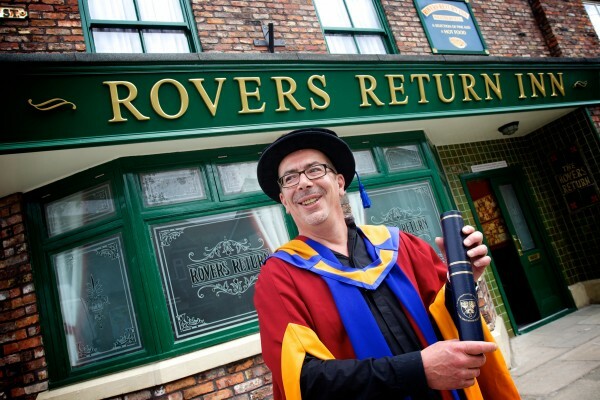 Producer Stuart Blackburn swapped the Coronation Street cobbles for a cap and gown when he was awarded an Honorary Doctorate. Leeds-based Stuart, who is currently at the helm of Britain’s longest-running and arguably best-loved soap opera, took up the position at Coronation Street last year, following a two-year term as Producer of Emmerdale. [private]As well as overseeing the move of 500 cast and crew from their central Manchester studios to a new state-of-the-art studio at MediaCityUK, since joining Coronation Street, Stuart has been responsible for reams of headline-grabbing screen action – including the controversial storylines surrounding the departure of much-loved characters Hayley Cropper and Tina McIntyre. Stuart, who was awarded an Honorary Doctorate of Literature for his contribution to the arts, commented: “This award today means absolutely everything. There’ve been a lot of telly awards and in a way you don’t expect them, you aspire to them – but this (honorary award) came completely out of the blue and I don’t know whether to laugh, cry or do both! He added that one of his favourite storylines he had worked on was during his time at Emmerdale. 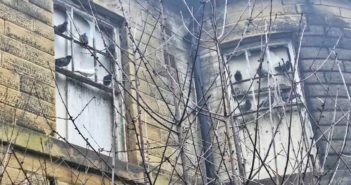 Originally from Keighley and now based in Horsforth, Stuart’s roots remain firmly in Leeds as he commutes to Manchester for Coronation Street. He has written stories and scripts and story-edited for many major soaps and dramas such as The Bill, Eastenders, Casualty and Ballykissangel. Stuart worked on ITV soap Emmerdale as Storyliner and Story Editor before moving to the Street as Story Editor and latterly Series Story Editor. He returned to Emmerdale in 2011 as Producer, before it was announced in October 2012 that he’d once again return to Britain’s most famous fictional street – as Producer – in January 2013. Before making the move back to Corrie, Stuart oversaw Emmerdale’s live hour-long episode to mark the 40th anniversary of the Yorkshire-based soap. 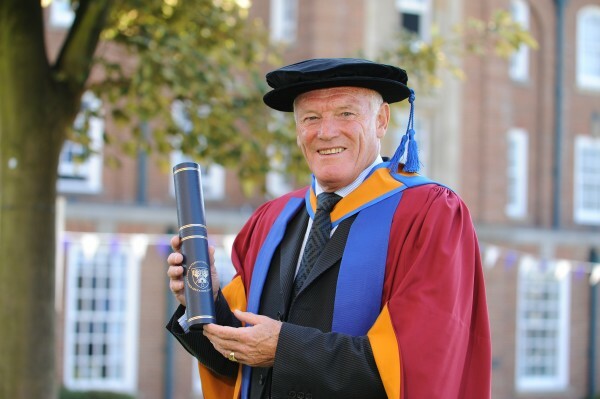 Leeds United legend Eddie Gray MBE, who was both player and manager at the club, has been awarded an Honorary Doctorate of Sport Science. Eddie had an illustrious 20 year career with the football club where he made 561 appearances and scored 68 goals from his position as winger. He was never booked in his entire playing career. He was a pivotal part in the Leeds United team of the 1960s and 70s and, when his playing days neared an end, he assumed the role of player manager in 1982 and stayed at Elland Road as manager until 1985. After leaving Leeds United, he had spells managing both Rochdale and Hull in the football league before returning to Elland Road in the 90s as youth team manager. He later took up the post of reserve team boss before becoming David O’Leary’s number two in 1998, where he was a part of the successful Leeds side that finished in the top four of the Premier League and had great runs in the Champions League. Eddie, who has a place in both the Scottish and English Football Halls of Fame and works for LUTV (Leeds United Television), is still held in high regard by all Leeds United fans and remains a name synonymous with the club.